Back pain is one of the most prevalent health conditions among adults. Approximately 80% adults are suffered by either chronic or temporary back pain. It can be caused by muscle strain, bad posture, arthritis, osteoporosis, herniated discs or standing on hard surface for prolonged period of time. Instead of popping antibiotics or painkillers, back pain can be treated using natural ingredients such as garlic. It can not only provide relief from back pain but also promote the recovery process in case of chronic back pain by reducing inflammation. Is Garlic Really Helpful for Treating Back Pain? Chronic inflammation is one of the main causes of pain. Garlic being a powerful anti-inflammatory food, helps to prevent and reduce back pain by relieving inflammation. High selenium content of garlic inhibits the inflammatory responses in the body and helps to treat pain caused by arthritic diseases. Chemical capsaicin found in garlic possesses analgesic properties that neutralize pain and works as a natural painkiller. 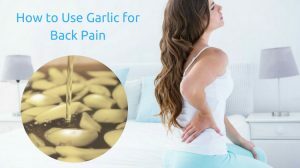 How to Use Garlic for Back Pain? Garlic can be used alone or in combination with other ingredients as an effective natural treatment for back pain. Garlic can be consumed or applied topically in the form of garlic paste or garlic oil to relieve back pain naturally. Take 2 to 3 fresh cloves of garlic. Chew them thoroughly and gulp down with a glass of water or orange juice. Note – You can also include crushed raw garlic into salad dressings, dipping sauces, etc. Crush 8 to 10 fresh garlic cloves to make a paste. Apply this paste evenly over the painful areas of the back. Cover with a clean towel and leave it on for 30 minutes. Wipe away the garlic with a warm wet towel. Apply this remedy several times a day for best results. The potent anti-inflammatory and pain-relieving properties of coconut oil help to relieve back pain caused by arthritis. When used internally, it also works as a muscle and joint lubricant. Crush 10 cloves of garlic and add it to 60 ml of coconut oil. Heat the oil on low heat and fry the garlic cloves till they are golden brown in color. Strain the oil and store it in a glass jar. Use this garlic oil to massage your back. Leave it on for 3 hours and then wash off with warm water and soap. Mustard oil readily penetrates into the pores and provides relief from the discomfort associated with sore muscles and stiff joints. It reduces pain, swelling and increases the range of movement. Take 1/2 cup of pure mustard oil and add 8 to 10 crushed garlic cloves to it. Heat the oil on low heat and fry the garlic till they turn golden brown. Strain the oil and store it in a container. Use this oil to massage your back. Leave it on for a couple of hours and then take a warm bath. Repeat the process 1 – 2 times in a day. Note: You can use olive oil instead of mustard oil. Compound oleocanthal found in olive oil prevents the production of pro-inflammatory enzymes and helps to relieve back pain caused by rheumatoid arthritis. The active ingredient curcumin found in turmeric inhibits protein NF-Kappa B that inhibits the inflammatory response in the body. Curcumin helps to relieve back pain caused by arthritis and osteoarthritis. Combine 2 teaspoons each of freshly crushed garlic and turmeric root. Consume a tablespoon of the mixture with a glass of water. You can also add a bit of honey to it to sweeten its taste. Repeat the consumption 2 times in a day. Garlic Milk is an effective remedy for relieving back pain caused by sciatica. It helps to reduce inflammation in the sciatic nerve and works as an analgesic that relieves the excruciating pain. Take 4 garlic cloves and mince them very finely. Heat 200 ml of milk on medium heat and add the minced garlic to it. Let the milk boil for a few minutes and add some honey to sweeten it. Drink the milk while it’s still warm. The potent anti-inflammatory properties of ginger relieve back pain caused by inflammatory conditions like arthritis and osteoarthritis. Ginger promotes blood circulation to the painful areas and its warming effect relaxes the tense muscles and nerves. Grind a 5 inch piece of ginger and 8 to 10 cloves of garlic together in a grinder to form a paste. Apply this poultice on the painful areas of the back and cover with a towel. Leave it on for 30 to 45 minutes and then wash off with lukewarm water. Repeat this process once daily for best results. The volatile eucalyptus oil has natural analgesic and anti-inflammatory properties that help to reduce inflammation and relax the strained muscles. It is especially effective in relieving back pain caused by lumbago and rheumatism. Take 2 tablespoons of eucalyptus essential oil in a bowl and add a teaspoon of fresh garlic paste to it. Mix it using a spoon and apply it on the painful areas. Massage gently in a circular motion till the oil soaks into the skin. Leave it on for a couple of hours and take a warm bath. Epsom salt is a great source of magnesium, sulfate and enzymes that reduce inflammation, relax the strained muscles and promote nervous system function. This process helps to provide relief from back pain caused by stress. Add 2 to 3 tablespoons each of Epsom salt and fresh garlic paste to a pot of hot water. Soak a clean towel in this mixture, wring out the excess water and apply the towel to your back. Leave it on till the towel cools and then repeat it again. Eugenol, the natural oil present in basil leaves has strong anti-inflammatory action that helps to ease back pain caused by arthritis and other inflammatory conditions. Take a handful of fresh basil leaves and add it to a cup of boiling water. Add 3 to 4 cloves of crushed garlic to it and boil the water until it is reduced to half. Strain the water and let it cool down a bit. Drink this concoction 1 to 2 times a day. Allow minced, chopped or crushed garlic to sit for 5 to 10 minutes before consuming it or adding it to any other ingredient. It helps to active the beneficial enzymes like allicin present in it. Raw garlic is extremely pungent in nature and it can cause a burning sensation in the mouth, so it is best to consume it with water or some fruit juice. If you have sensitive skin, raw garlic can cause skin irritation when applied to the skin directly. For some people, garlic consumption can cause bad breath, burning sensation in the stomach, heartburn, gas, nausea, vomiting and diarrhea. People who have or about to undergo surgery should avoid garlic as it is a blood thinner and can increase the risk of bleeding. Pregnant and breast-feeding women should not consume garlic as a medicine. People suffering from digestion problems or low blood pressure should avoid consuming garlic. Opt for warm and cold compress to get instant relief from back pain. Follow a diet rich in omega-3 fatty acids, vitamin C and calcium to help neutralize inflammation and support bone mass. Drink plenty of water every day to flush out toxins form the body and promote better blood circulation. Sleep in the right position and use supportive pillows to prevent back pain. Watch your weight and reduce extra pounds from your midsection to reduce the pressure on your back. Exercise and stay physically active to reduce muscle tension and stiffness. 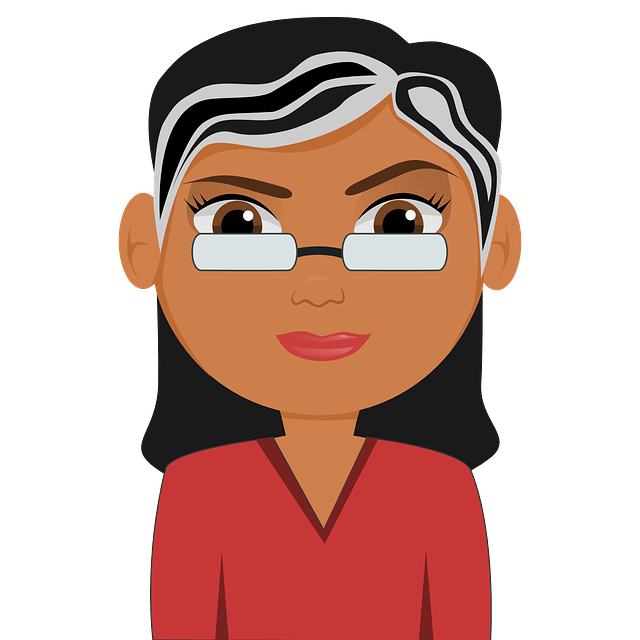 Pay attention to your posture while standing, sitting and walking. Try out these remedies for back pain using garlic to get relief without any side effects. Do you have any remedies for back pain using garlic? Then please share it with us in the comments section. Is garlic and olive oil mix to gether good for aches and pains for messageing. Will garlic help in reducing weight in thyroid patients who is suffering from 15 years.. if so how to use it n when it has to be consumed, in what quantity n for how many days ..as garlic is heat will it not affect the body ..kindly help n revert .